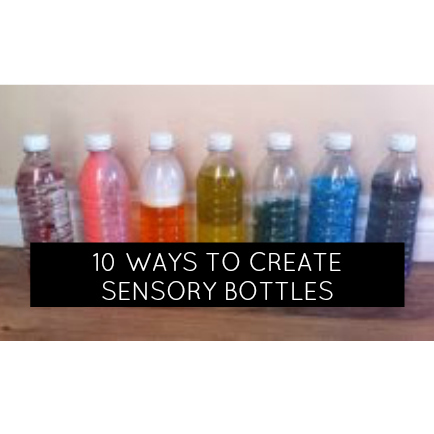 At our mom and toddler Sensory Discovery program, we made sensory bottles! The moms were given ingredients to choose from, and the kids had a free for all. Using different items of various colours, textures, amounts, and filling with or without water or oil, we were able to experience the senses of sound, sight, and touch!